When picking out a car for a new teen driver, it’s essential to get all the latest safety gear. But for most families, it’s unrealistic to buy their teenager a brand new car. The most important thing is electronic stability control, which has proven to be statistically the most effective safety advancement in cars since seat belts. ESC helps drivers keep the car on the road in emergency situations. And staying on the road goes a long way to keeping the car from rolling over or spinning into a tree or a telephone pole, which are among the most dangerous types of accidents. A car with ESC will also have antilock brakes and probably traction control, since they require all the same hardware components. ESC became mandatory in 2012, but most cars began to include it earlier as standard equipment. It’s also important to find a car with side and curtain air bags. Since there’s much less space between the edge of the car and passengers in a side collision than in front or back, side air bags form a critical buffer. Curtain air bags, which cover the side windows, can also help keep passengers inside during an accident, a critical safety benefit. Any car with curtain air bags and ESC will also have front air bags, which became mandatory in 1999. But you shouldn’t have to go back that far to find an affordable used car. The cars on our list also have to handle well in emergency maneuvers, have good stopping distances (on factory tires), and not be too slow nor too fast. Since weight and size also play a crucial role in safety, we recommend midsized or larger sedans. (Don’t go too large if you don’t want lots of parking-lot scrapes.) We think sedans are better than SUVs, because their lower center of gravity gives them better underlying stability—even in this age of ESC. 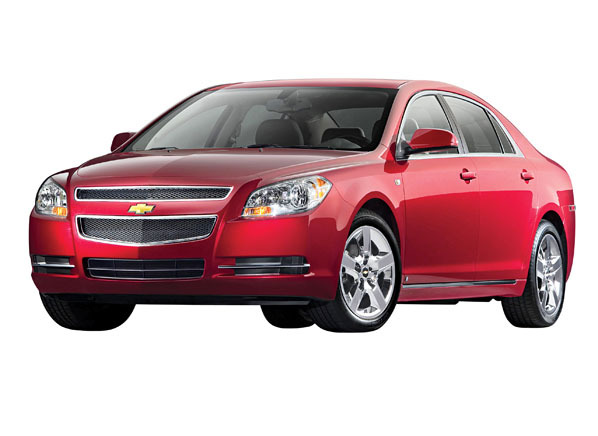 The midsized Malibu is comfortable, quiet, and well-finished inside, with an absorbent ride and comfortable seats, especially if you get the leather. Handling feels responsive, with light and precise steering. There’s plenty of elbow room inside the stylish, nicely detailed interior. Both the pedals and the steering wheel adjust for reach, which could make the Malibu an especially easy fit for taller or shorter teens. Straightforward controls are another big help for new drivers. The four-cylinder engine is quiet, refined, and responsive, plus it gets a pretty good 25 mpg overall. 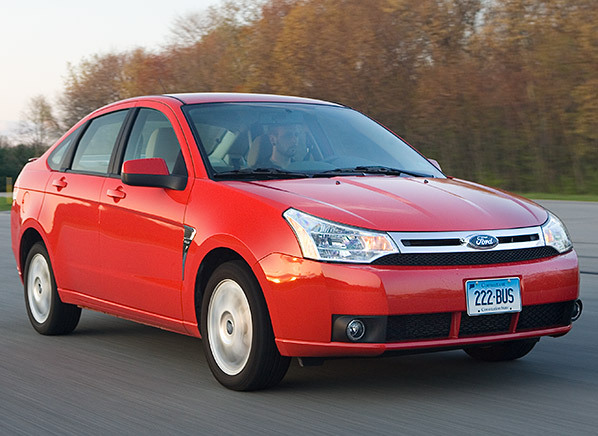 The small Focus sedan is agile and fun to drive, with an upright seating position that may help teens plan ahead by giving them a good view down the road. The optional Sync system gives hands-free phone connectivity, but without the fussy and distracting MyFord Touch control system that came later. The cabin makes access easy and gives plenty of room for two in the backseat. An optional manual transmission makes this a good car to train your kid to drive a stick, and the reward for do-it-yourself shifting is a respectful 29 mpg overall. Perhaps the biggest downsides are a noisy and cheap-feeling interior. The midsized Fusion offers responsive handling and a supple ride, along with Sync Bluetooth connectivity and voice commands. (Some also have the optional MyFord Touch—a distracting infotainment system.) Controls are fairly simple, although they could be better placed. Drivers will find plenty of room inside along with comfortable seats. The four cylinder is backed by a smooth, smart-shifting six-speed automatic transmission, but the engine can sound noisy when accelerating. A hybrid version is available, though it’s significantly more expensive. 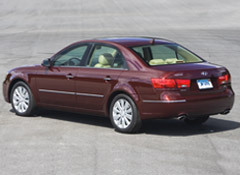 A comfortable, quiet, and daresay almost luxurious midsized sedan, the 2006-2010 Sonata has a pillowy ride, soft seats, and simple controls. Handling is a bit numb, but it’s secure enough. Freshened for 2009, the four-cylinder engine and five-speed automatic deliver quiet acceleration, with very good gas mileage at 26 mpg overall. The backseat will hold three across comfortably, but the front seats are too soft for long-trip comfort. The generation starting with 2011 has swoopy, coupe-like body styling, but unlike most such cars, rear-seat room and visibility remain tolerable. The new four-cylinder engine racked up impressive fuel economy of 27 mpg. A functional little box-on-wheels, the Soul gets great mileage and offers all the features your kid wants with all the safety features you do. 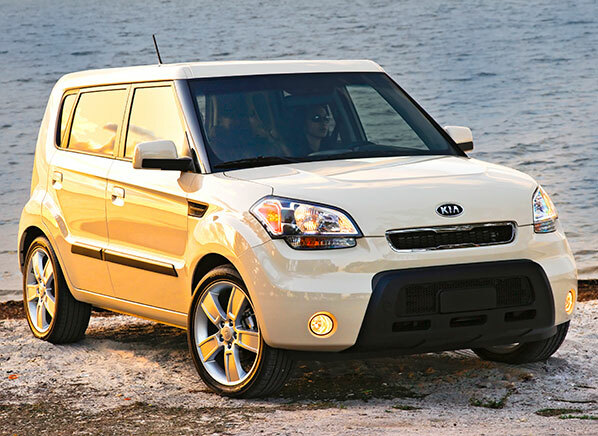 Kia’s UVO connection system will play songs from your smart phone, as well as enable hands-free calling. And the tall, upright driving position gives a good view of the road, although thick rear roof pillars create rear blind zones. The powertrain feels responsive enough, but the engine is loud, and the ride skews to the hard side. Hatchback versatility may prove helpful on campus, although its overall cargo capacity is limited. A distinctive shape, the Soul has personality that may have distinct youth appeal over a more traditional, staid alternative. The answer to almost every automotive question, the Mazda3 is safe, fuel efficient and responsive to drive. You can get leather, navigation, and seat heaters, as well as at least rudimentary Bluetooth phone pairing. We especially like the Mazda3 for teenagers because of its responsive handling and tidy size, which make it easy to get out of trouble. 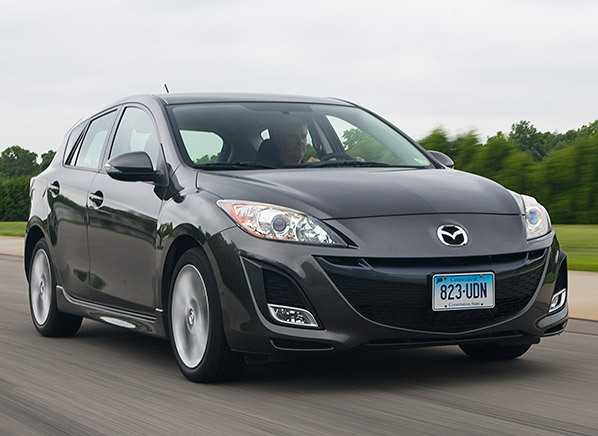 For 2012, the 3 offered Mazda’s Skyactiv engine and transmission, which boosted fuel economy to an impressive 32 mpg. Consequently, they seem to be more expensive than non-Skyactiv models. 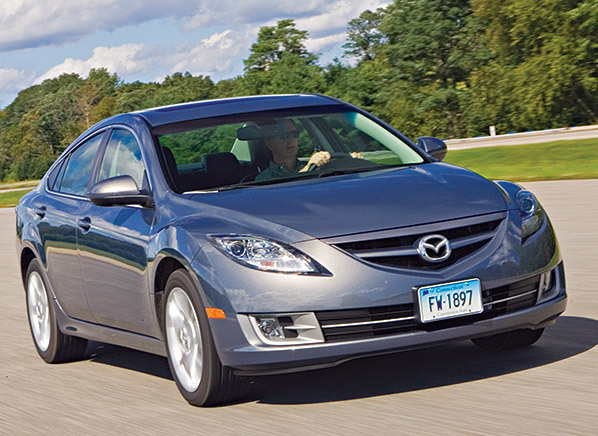 One of the sportier midsized sedans on the market, the Mazda6 has a supple and controlled ride with sharp steering and nimble handling. Most controls are very simple, although the radio buttons are oddly arranged. A long seat cushion and telescoping steering wheel make the 6 a perfect fit for tall teens, and an optional blind-spot monitoring system could be a boon to young drivers. Pronounced road noise is the main downside. 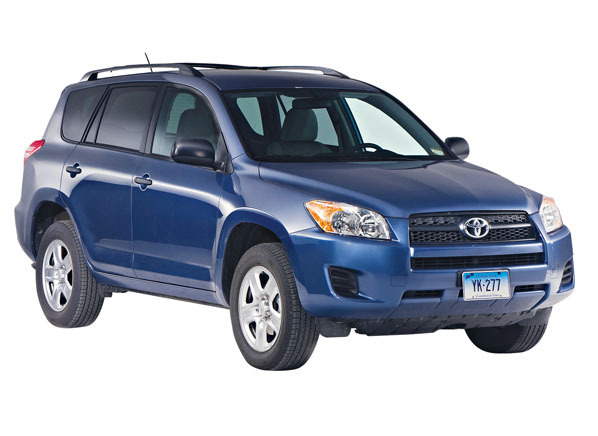 The RAV4 is a roomy reliable SUV that rides well, gets great gas mileage for an SUV and has responsive and secure handling. Bluetooth hands-free phone pairing is available, as is all-wheel drive. Leather seats are significantly more comfortable. Skip the optional third-row seat since statistics show accident rates rise dramatically with more teens in the car. The side swinging tailgate isn’t very convenient in the city, but the RAV has tons of room for carrying dorm supplies with the backseats folded. 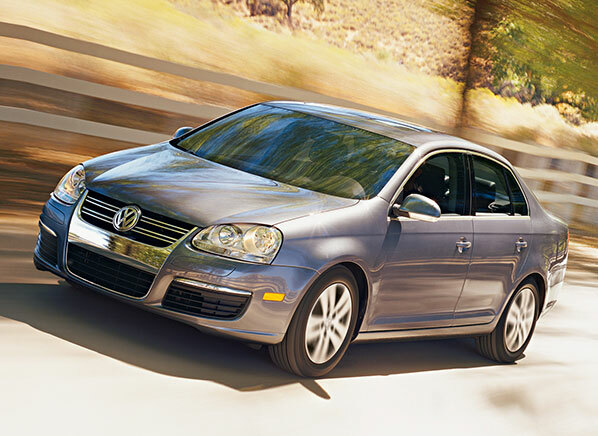 A sophisticated small car, the Jetta handles enthusiastically and rides well. It has comfortable seats for the long haul with plenty of room in back and a giant trunk. The base five-cylinder engine has plenty of power, but it sounds coarse and doesn’t get great fuel economy. Visibility is great with large windows all around, and controls are super simple. A diesel version can get 34 mpg overall and reach nearly 50 mpg on the highway. Reliability is good either way. r needing to load up with supplies from a warehouse store. Diesel versions returned excellent fuel economy, but they tend to hold their value more, making the traditional gasoline-burning versions more attainable. Took my car into precision to get it repaired because I was going through an insurance claim with AAA. Jeff and Mario were extremely professional and treated me with the upmost respect. They made the entire process so smooth. I would definitely recommend them to anyone going through a claim. My car looked fantastic when I picked it up. Thanks guys! A friend recommended I drive from Burbank to Palmdale for repairs after my car was broadsided in a hit-and-run. Although the drive was long, the last few shops I had been to in the San Fernando Valley were unreliable and made shoddy repairs. Needless to say, I was ready for a change. Awesome experience during a bad situation. I've never been in a car accident until now. I was in a wreck and my insurance, State Farm, was trying to send me to their shop that had lots of bad reviews. We checked for a shop in Palmdale where my fiancé works. After finding Precision, we spoke to Jeff about our car. Not only did he handle everything with the insurance, he also took care of getting them to cover my rental car. The car was even done quicker than Jeff had told us. It was even cleaned inside & out. I would definitely give Jeff a call @ Precision.